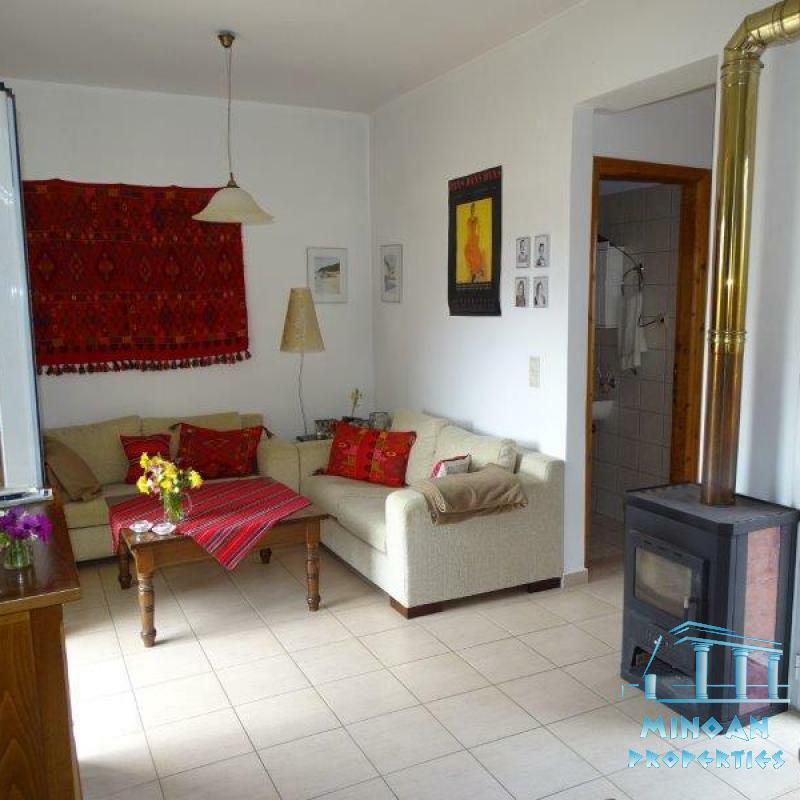 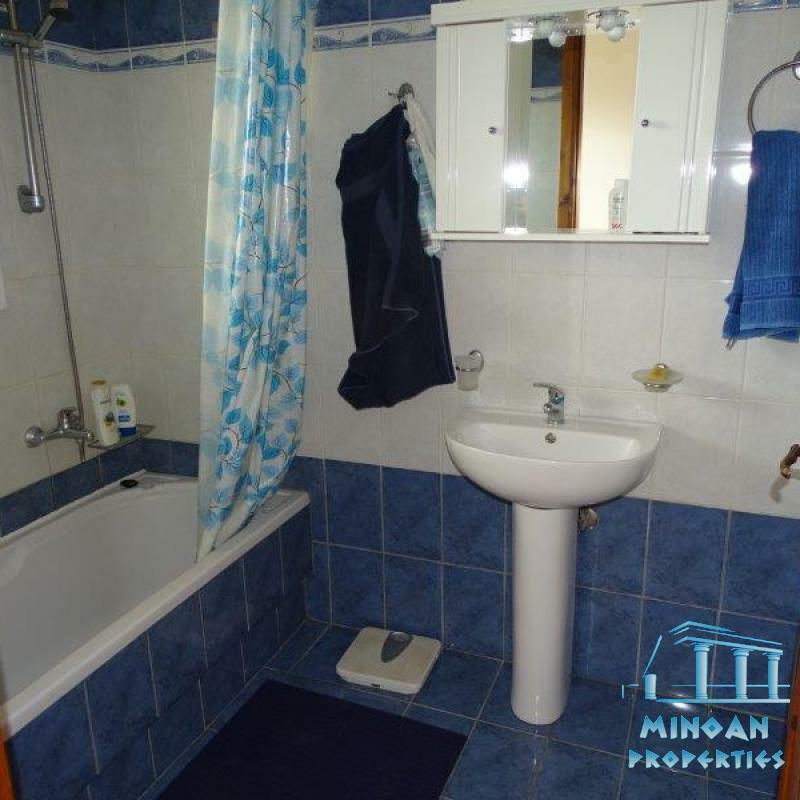 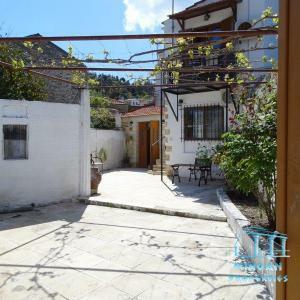 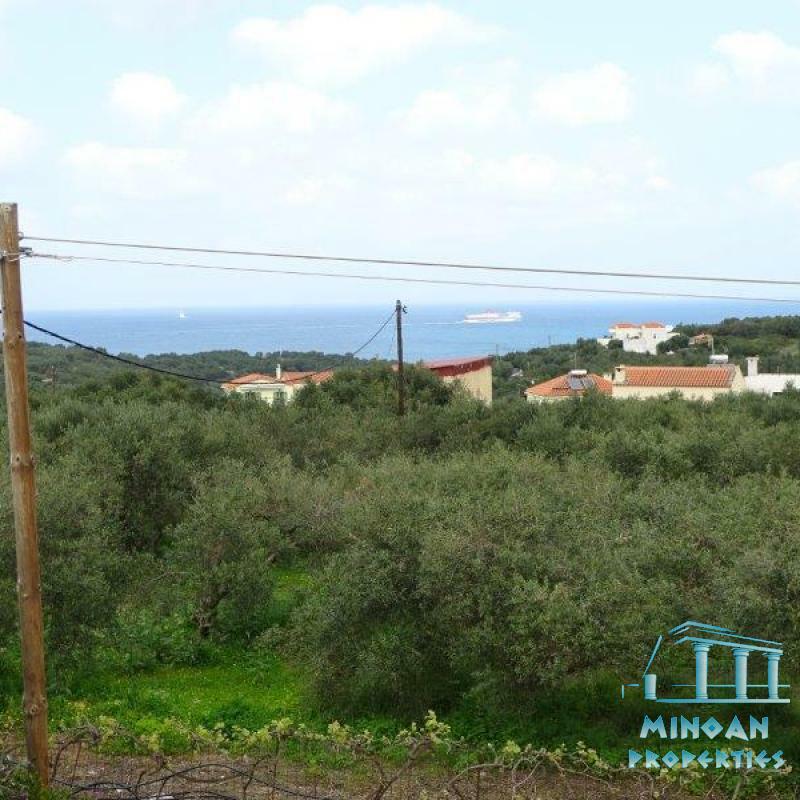 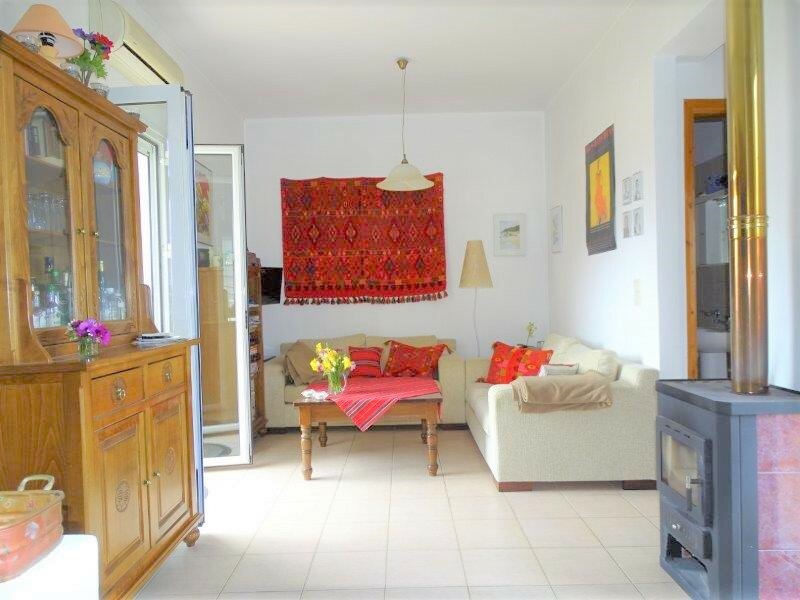 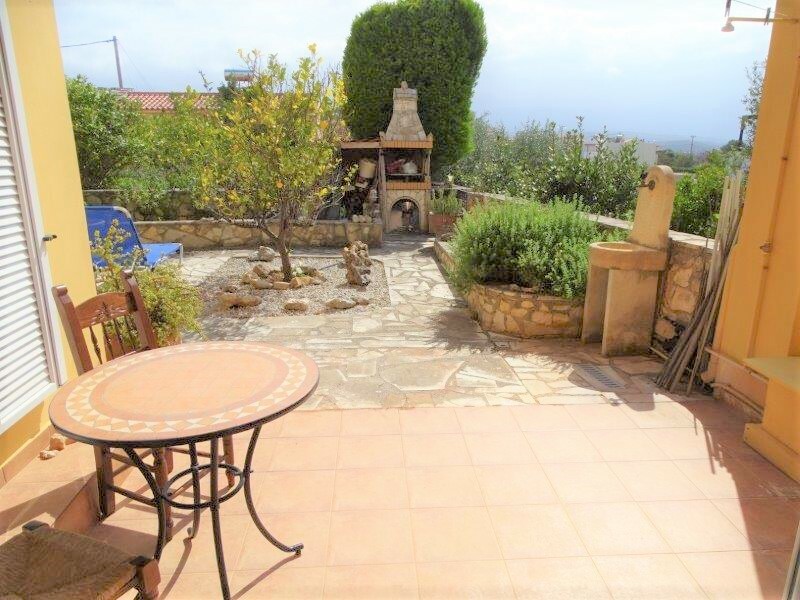 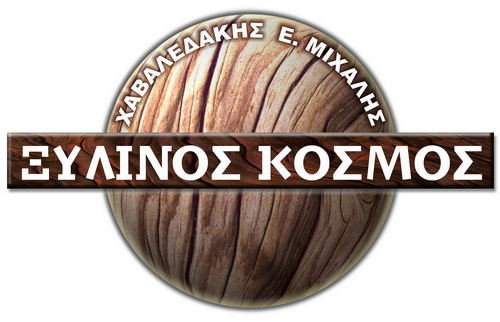 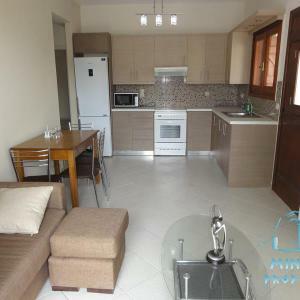 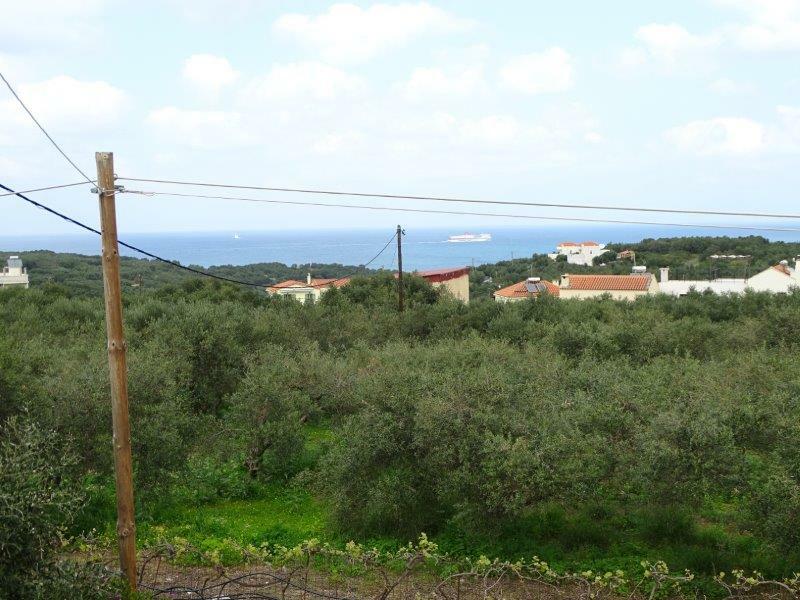 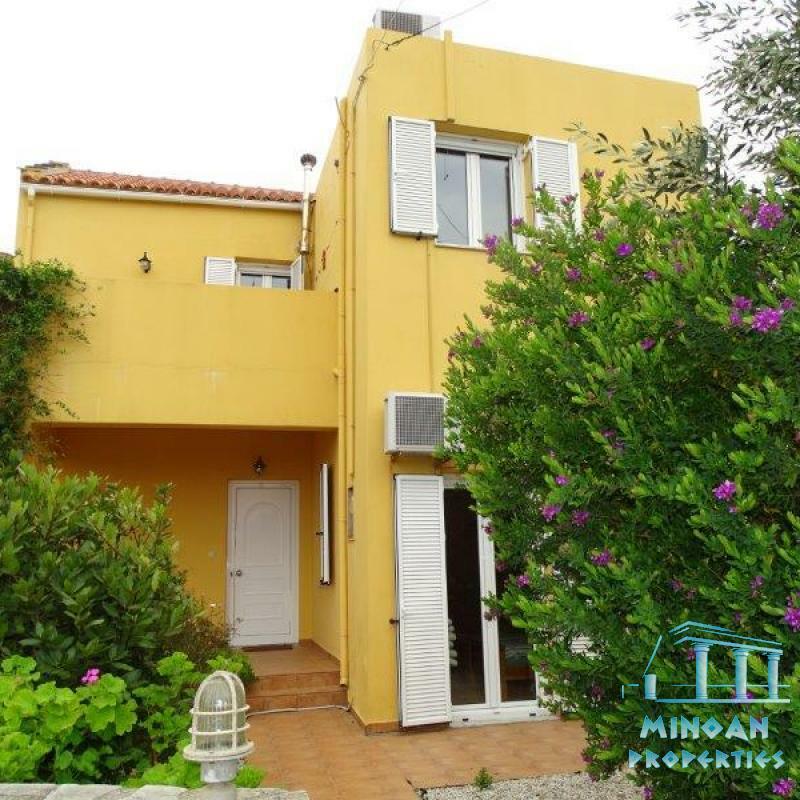 The 100 sqm, detached house is a 2 storey property, located in the beautiful village of Plaka Apokoronas. 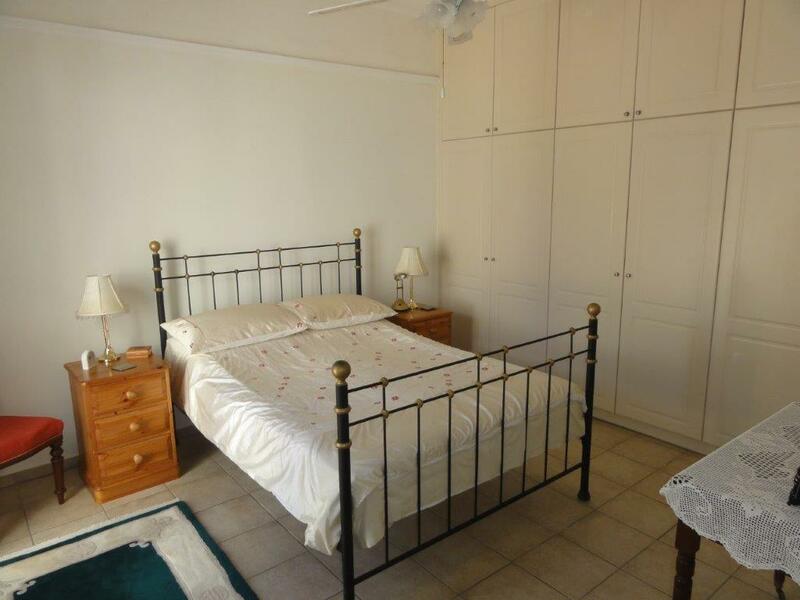 The ground floor is offering two comfortable bedrooms and two spacious, bathroom equipped with a shower and bath tab. 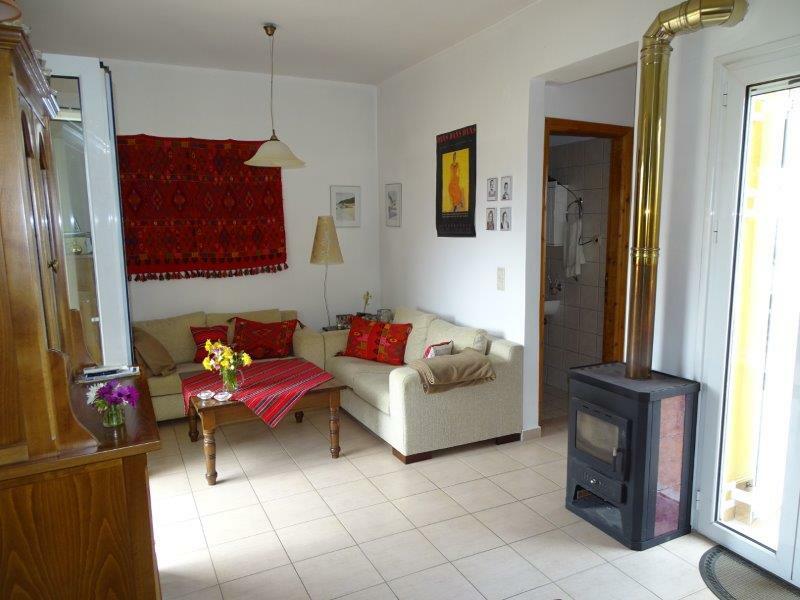 A comfortable staircase leads to the first floor which consists of a comfortable, spacious lounge area and a fully equipped kitchen, a comfortable bedroom and wc . 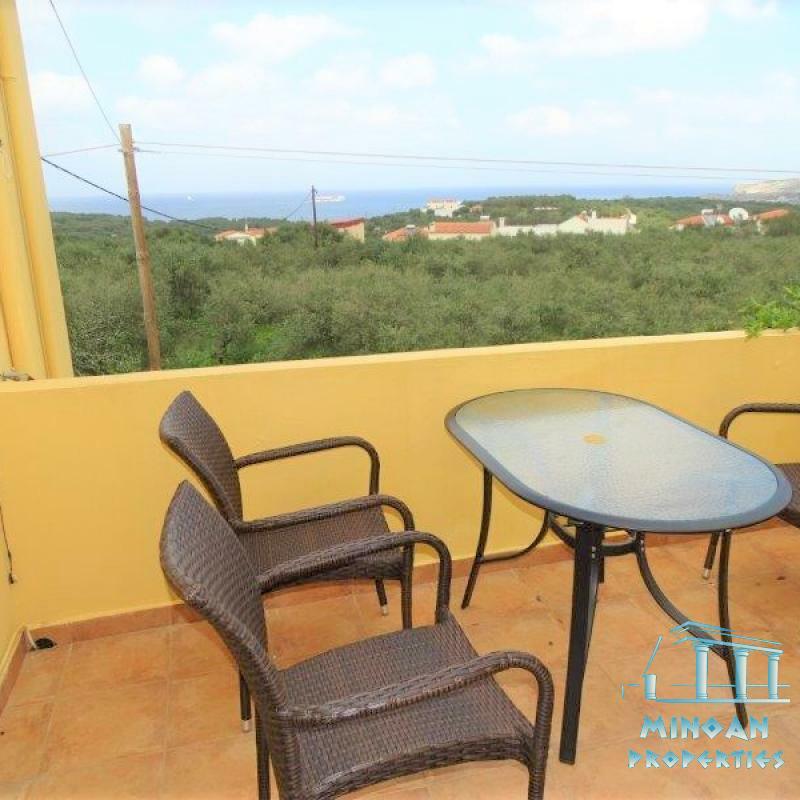 From the lounge there is access to the large terrace giving magnificent views over the Cretan sea and the Karga island. 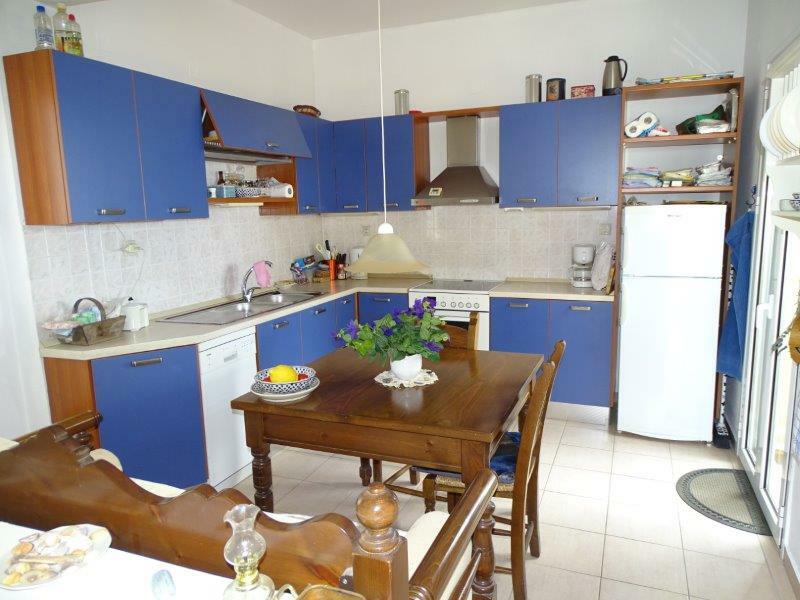 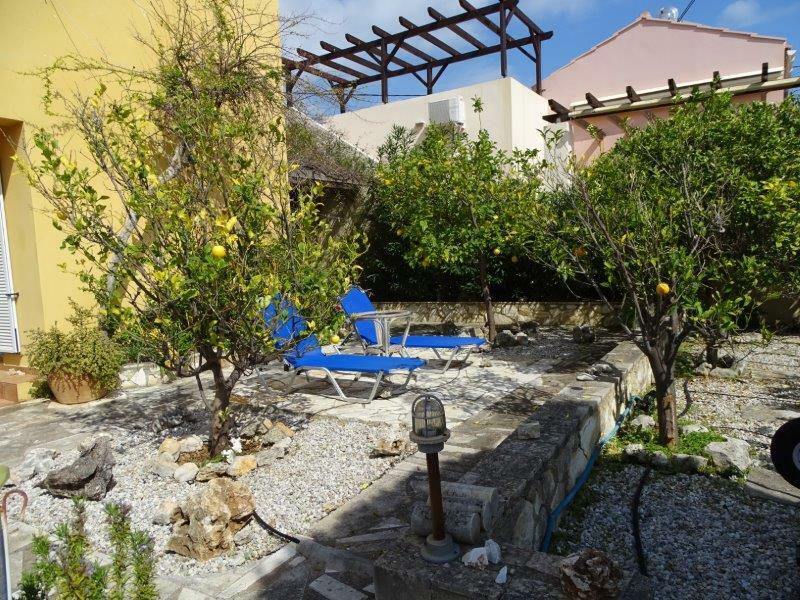 Outside, the villa has an area of 224sqm, fenced with a wall and beautifully landscaped with mature, flowering plant. 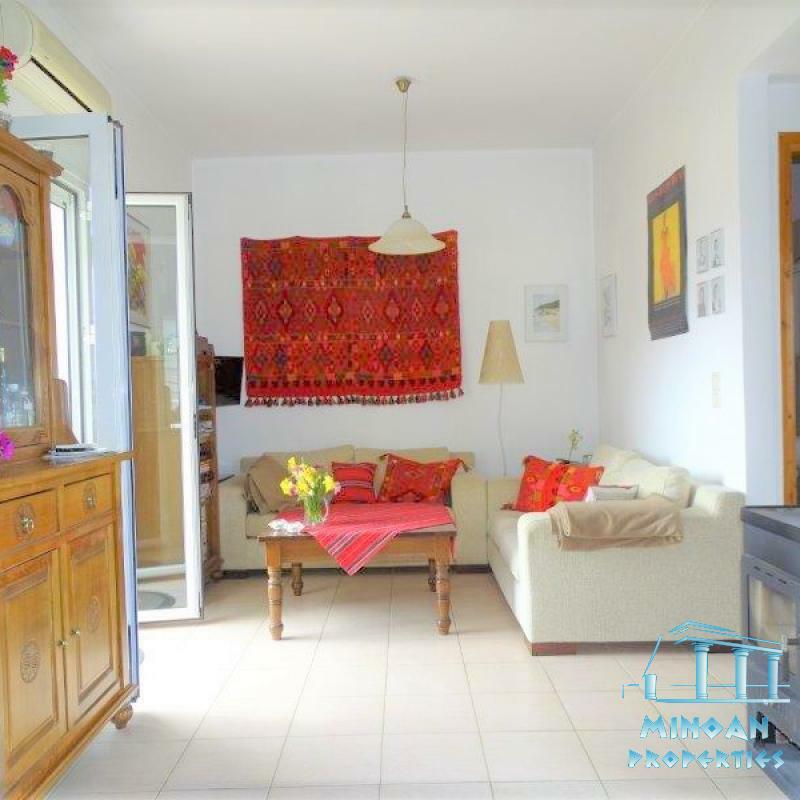 The house comes equipped with 4 air condition units, solar panel for hot water, and aluminum double glazed windows fitted with fly screens. 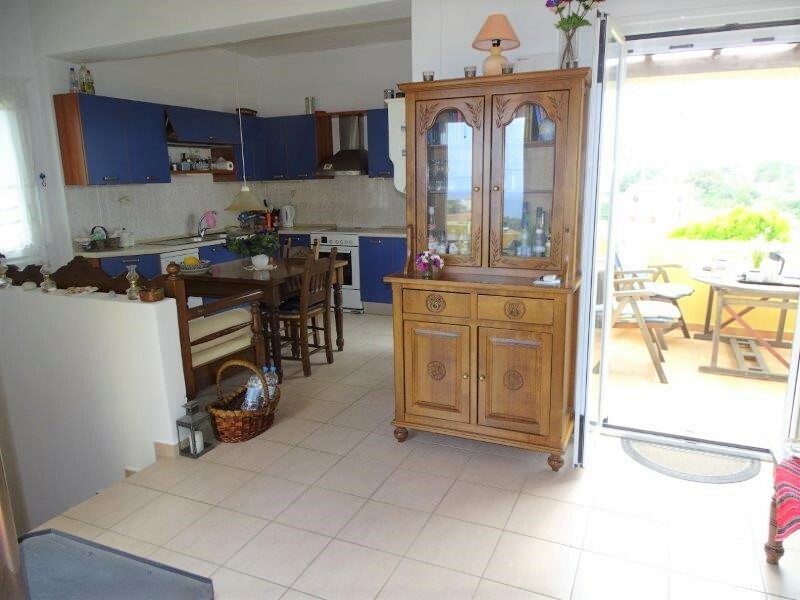 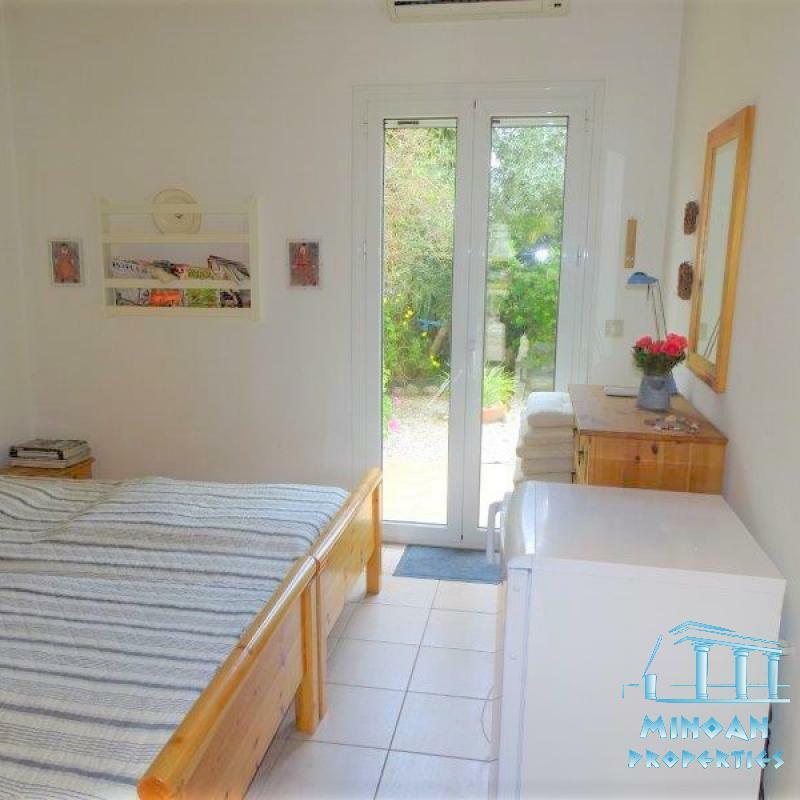 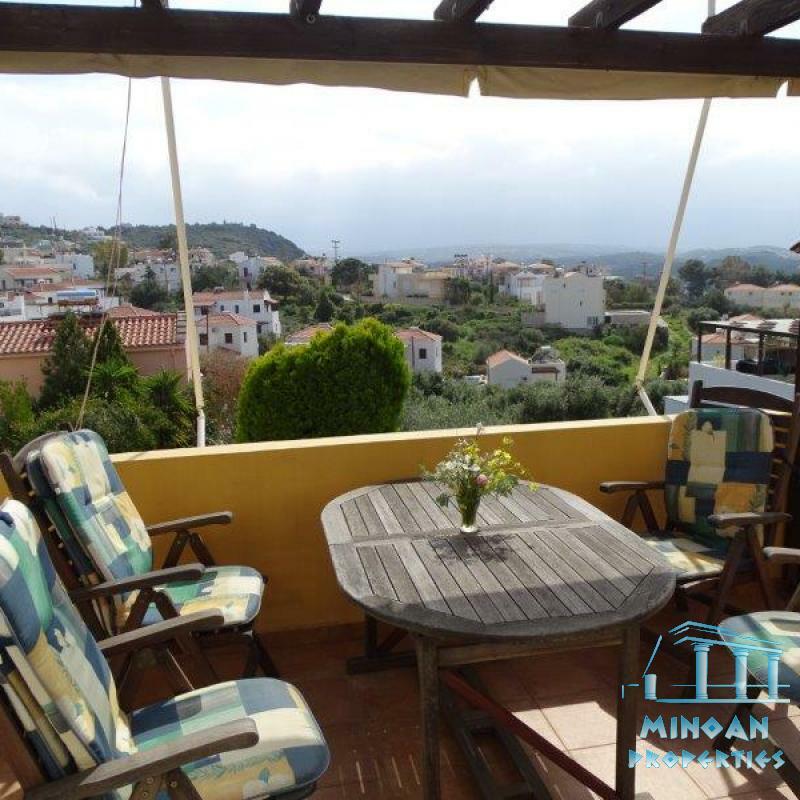 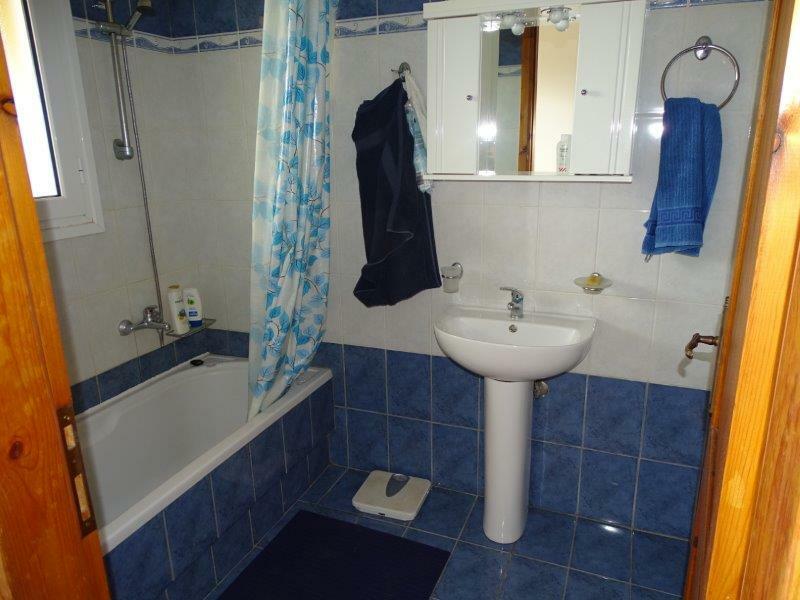 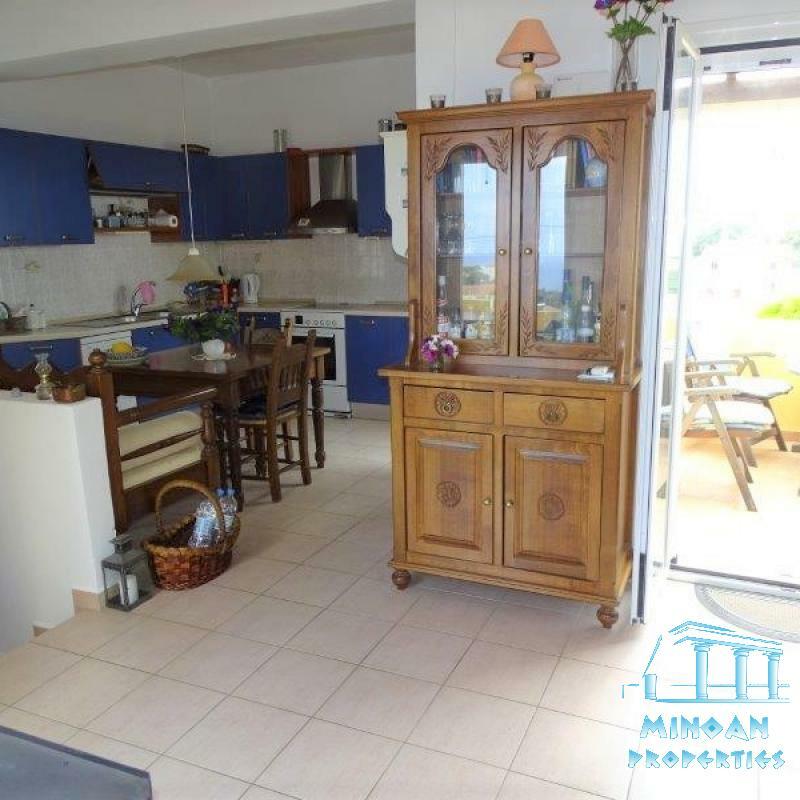 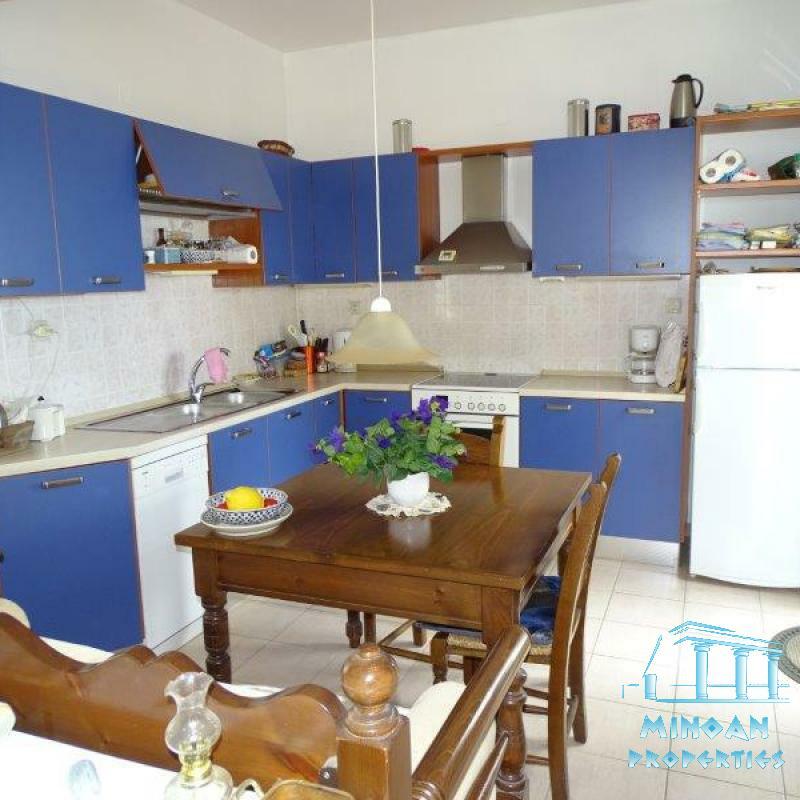 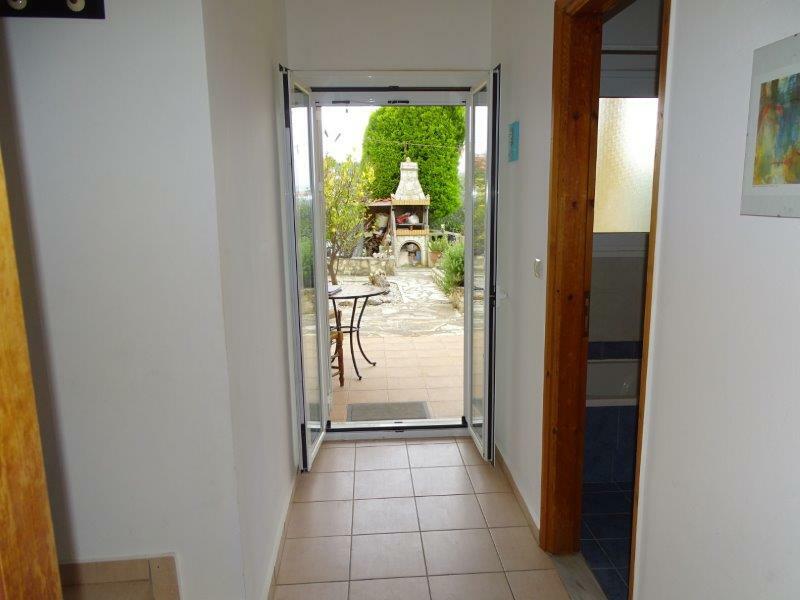 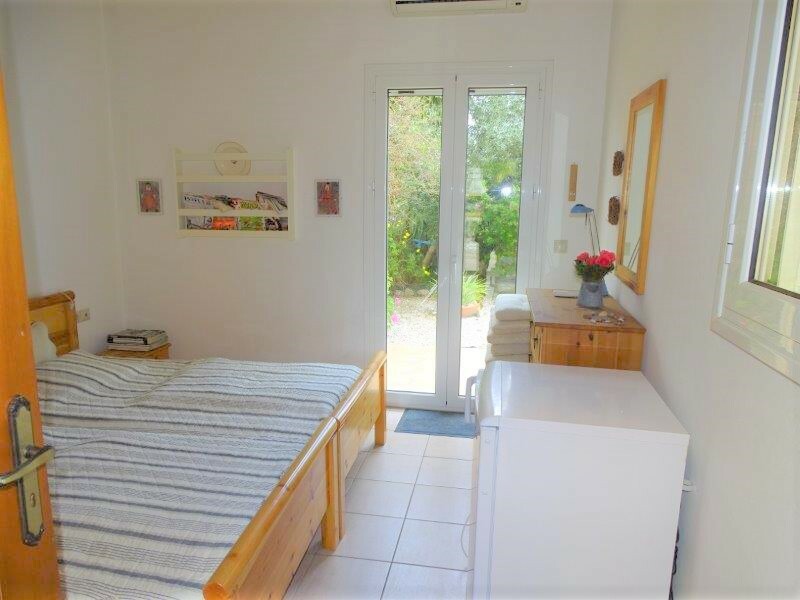 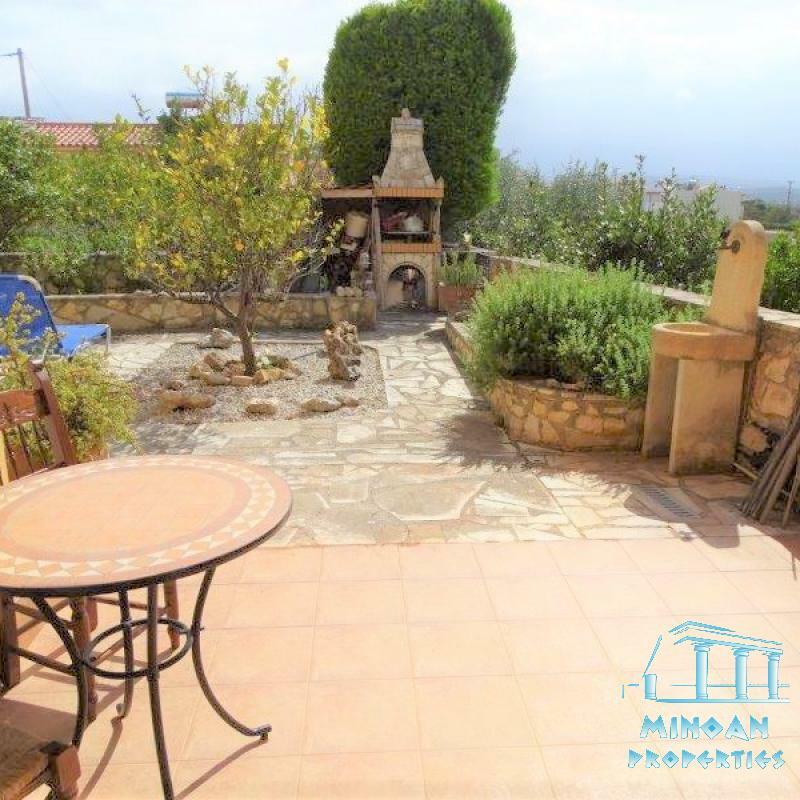 The property is offering a great outside space that allow you to create a nice pool that will fit excellent The house is conveniently situated with both the village and the Almyrida beach within walking distance. 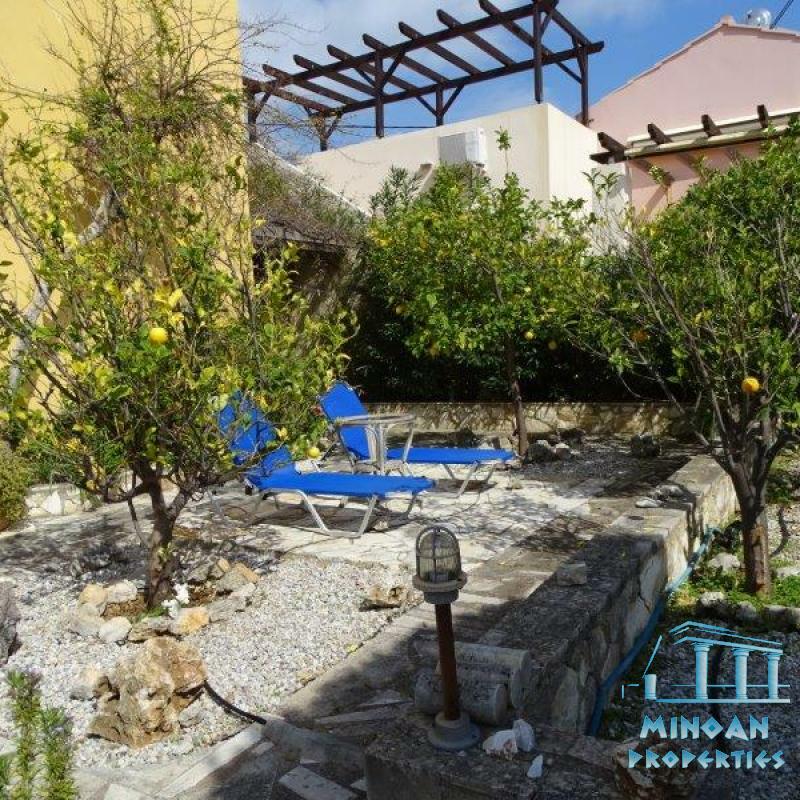 Plaka village is a traditional, welcoming Cretan village with a fascinating history, which reflects in the many building now functioning as shops and restaurants. 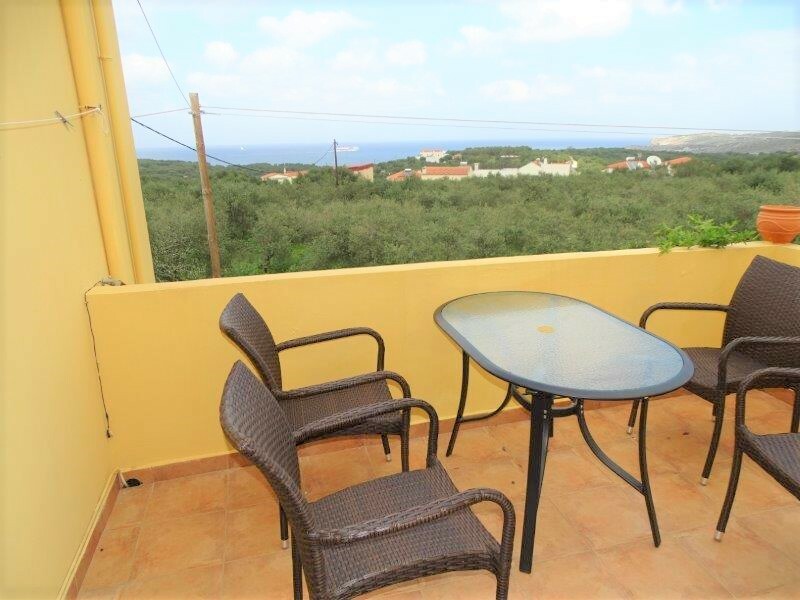 Plaka village offers all the conveniences needed for year round living. 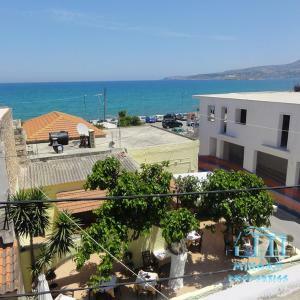 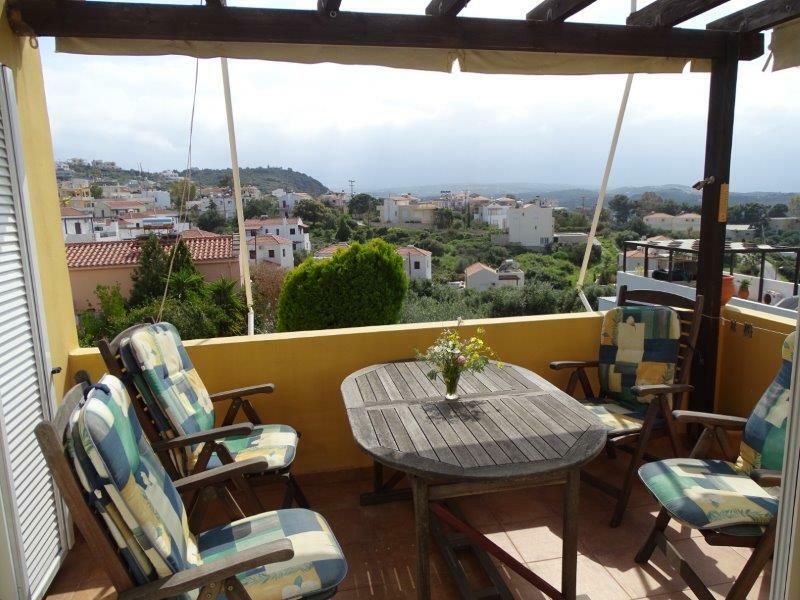 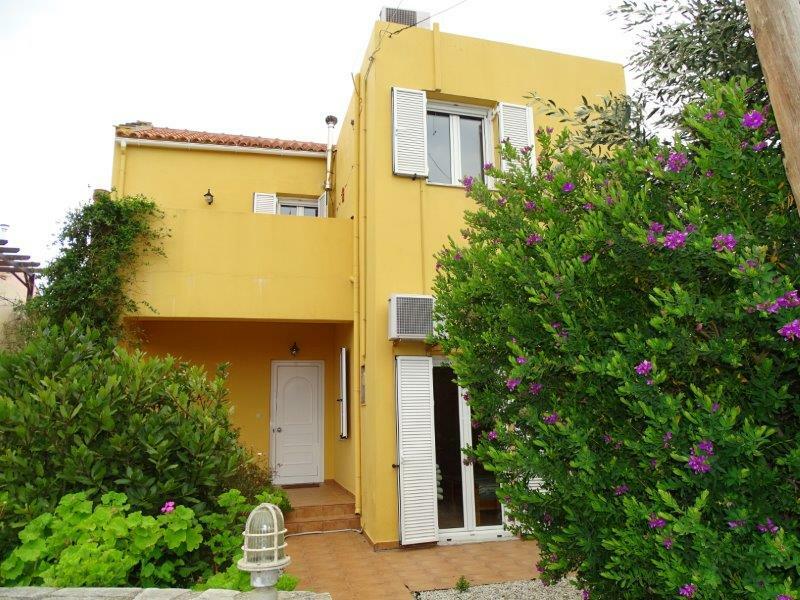 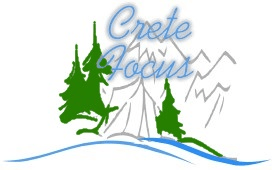 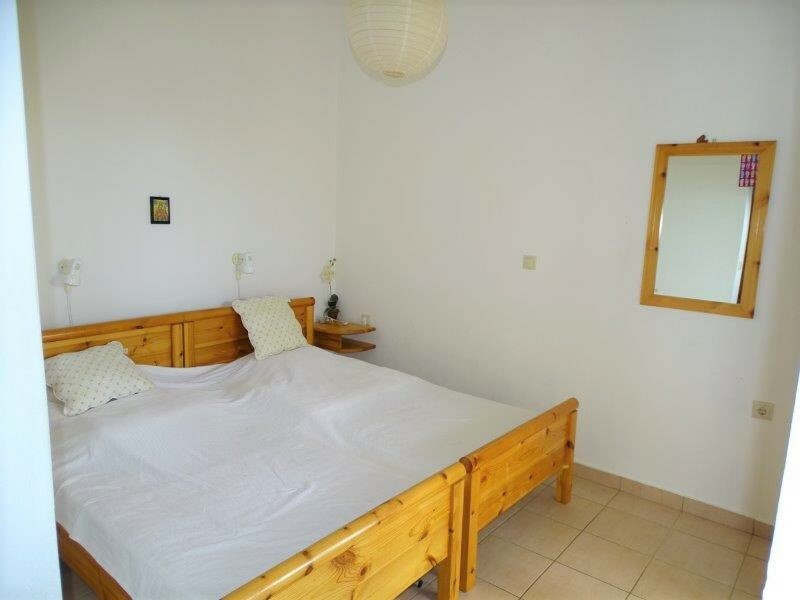 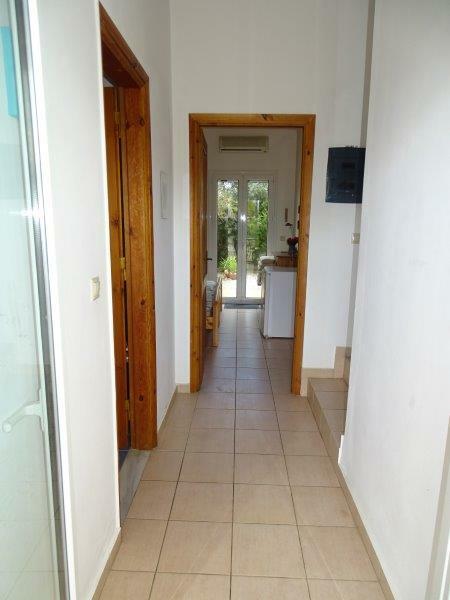 This is an excellent investment opportunity for somebody who is looking to retire to sunny Crete with its white sandy beaches and crystal clear waters, or wants to invest in a holiday home on this beautiful island. 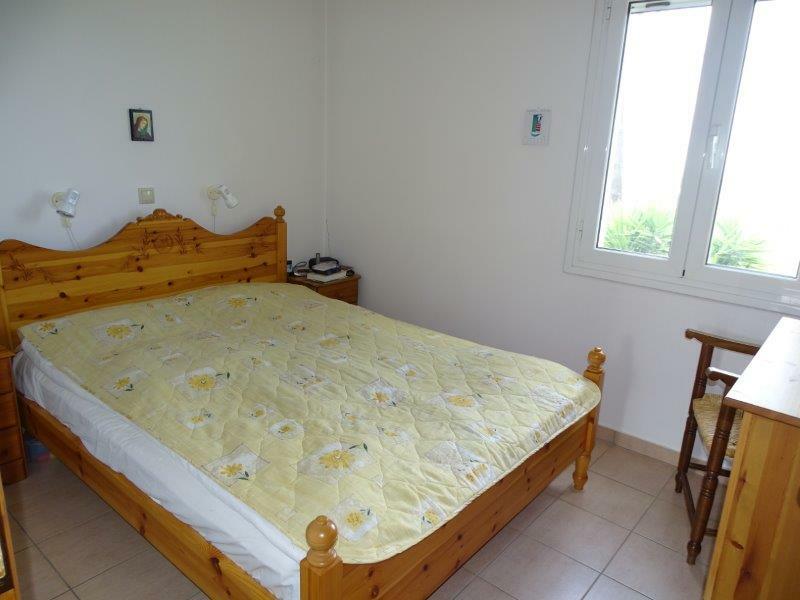 All the furniture’s and fittings are included in the price.